From the new 2017 all looking forward to the world. However, I see it differently. This difference in views is most apparent just before the Christmas holidays. MCCAIN. 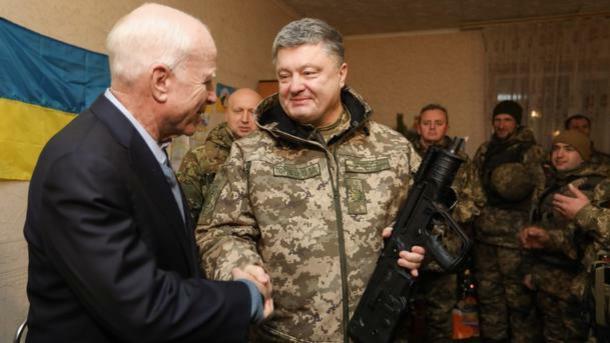 President Petro Poroshenko just before the 1 Jan flew to Mariupol with us Senator John McCain. The visit was short policy held in the ATO zone for several hours. 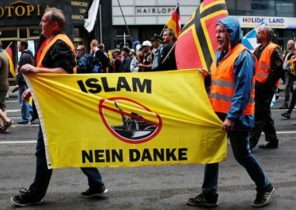 But he remembered the words of McCain: “In 2017 we will defeat the invaders and send them back where they came from”. How to do it, from the words of McCain was not clear, although it sounded exciting. 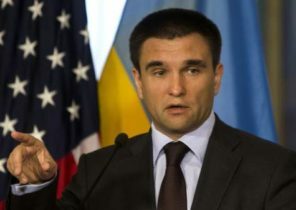 But after such statements in social networks began to actively talk about a possible violent scenario in the Donbas, and with the help of the United States. But really intensified after the new year by gunmen. LE PEN. In France, where in April presidential elections, the year started with the Pro-Russian statements by the leader of the race, the head of the far-right National front of marine Le Pen. It in his first speech after the New year declared that considers lawful a referendum in 2014 in Crimea under which Russia annexed the Peninsula. With Le Pen still difficult. If the foreign Ministry will declare it to be banned, and that will take and win the French elections, you get an incident, almost equivalent to a rupture of diplomatic relations. And to break off relations with one of the leading States of the European Union in the plans of the Ministry of foreign Affairs is clearly not part of. 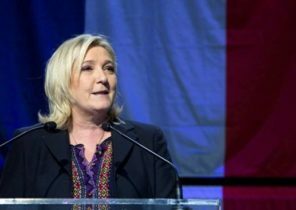 By the way, it was argued that the statements of Le Pen are purely economic in nature. She needs the money to continue racing. And get she hopes from the Kremlin. About it on air of radio station “Echo of Moscow”, said the controversial Russian journalist Alexander Nevzorov. “She suddenly picked up and recognized the Crimea. But nothing surprising in this. I think that because French banks refused to Finance the electoral campaign, she is now ready for anything. She can sweep the Red square. This fall, it will likely be priced French voters, if anyone will admit to elections,” — said Nevzorov. OLES. 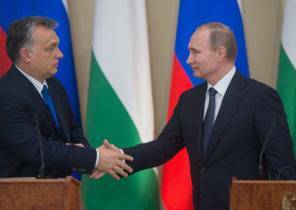 In the Czech Republic after the New year broke a real scandal. In Prague exhumed the remains of the Ukrainian writer-emigrant Alexander Oles because of the same old banal reason — money. Earlier, the rent for the grave paid the native of Ukraine Vladimir Mikhaylishin, but he died, and the son Myhaylishyna decided to bury my father in the grave. To muffle the scandal, the Ukrainian government immediately contacted the heirs of Olesya and agreed to the reburial in Ukraine. 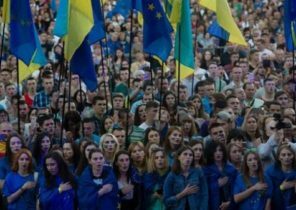 Following the saying “a blessing in disguise,” the politicians started talking about the possibility of reburial in Ukraine of other famous Ukrainians-immigrants, headed by the leader of UNR, Symon Petliura and the leader of the OUN(b) Stepan Bandera. But it is only talk, but to Alexander Oles the President has already instructed the Ministry of culture. So everything has to take place in the coming weeks. PASHINSKY. Another scandal of the week was purely domestic. We are talking about the incident on the highway near Kiev, during which the people’s Deputy from “popular front” Sergei Pashinsky shot the man. The incident, two versions. One (from Pashinsky), the people’s Deputy stopped on the track to find out why it’s dangerous is a van without lights, but as he approached, as he got hit with a bottle on the head, fell down and then shot the offender in the leg. 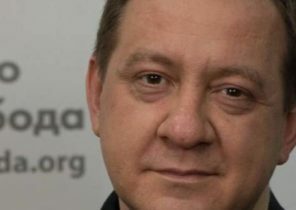 According to another (a wounded Vyacheslav Chimiques) — Pashinsky jumped out of the shadows, threatening with a pistol, got a bottle on the head and at the same time shot. The authorities find out, which side was aggression, and to one’s self. CASH. Resonance decisions of the authorities in the first week of the new year was not. The only exception was the national Bank, which decided to be active in the fight against turnover of cash hryvnia. 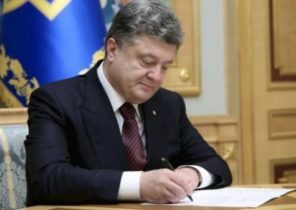 Now, according to its decision, the maximum cash payment in Ukraine should not exceed 50 thousand UAH is UAH 150 thousand. Last upper limit applies, in General, only real estate and auto, which, in theory, all payments had to be by Bank transfer. But since in practice no one wants to sell the apartment for the hryvnia (and the calculations in dollars is formally prohibited), but still lose tens of thousands when transferring sums from one account to another, so the real estate market when sales are already long-established schemes, which allow to circumvent the restrictions of the national Bank. Strap is 50 thousand will not only affect the apartment with the machines, but these purchases, like expensive electronics or furniture. However, on the other hand, widespread consumer lending, and now they will use vengeance. Only if the earlier loans were issued for months, it is now common practice can become a weekly or even a two day credit for purchase of an expensive refrigerator.